Before 5/31/14 to now 10/12/15! 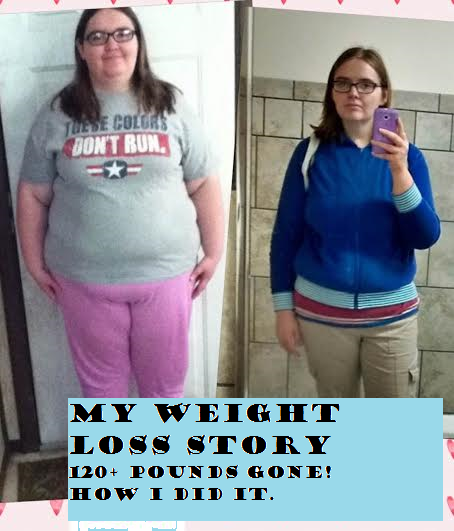 120+ pounds gone! Hi everyone, my name is Bonnie and I have created this blog to encourage and inspire others. Here is my story of losing weight, I hope you enjoy reading it. Sorry it’s a bit long but it’s been a long (and rewarding) journey so far. When I originally started my journey back at the end of May 2014, my intention was just to take a lot of walks and decrease my portion sizes at dinner to lose ten pounds over the summer. However, once I got on the scale and saw how much I weighed, I was shocked. The scale was reading back to me 309 pounds! I immediately signed up on sparkpeople.com because that website had helped me lose weight in the past. I ended up jumping in with both feet, cutting calories in a reasonable way and logging everything I ate as well as taking walks and increasing the time and distance slowly. My mentality right away was that this had to be the last time and I was determined to lose this weight once and for all. The reasons I want to lose weight right now first started with a vacation I took to my hometown in California in March of last year. I took planes to and from there, and had to ask for seatbelt extenders both ways. It was mortifying. I hadn’t realized how big I was before that. I knew I was overweight, obviously, but never in a million years would I have thought I weighed over three hundred pounds! More embarrassing than the seatbelt extenders was being too big for the seats themselves, I felt like I was invading my neighbors’ spaces and tried to make myself smaller, which was very uncomfortable to say the least. Another reason I wanted to lose is the BIG reason… I want to be a mother someday in the near future and in order to be the best mother I can be, I need to be healthy, happy, and active so I can keep up with them and have experiences that they will remember. I want to be able to be active with my future husband and my children, separately and together, and to take many adventures together! Some personal obstacles I have pushed through are mainly joint, rib, neck, and back pain. It is suspected I have Hypermobility Syndrome which isn’t commonly known about but I recently found out that more tests need to be run for this. I also started this journey without a gym membership. Due to living with my parents and my brother and his two young sons in a small two bedroom house, I have no privacy as I sleep in the living room. However, I did exercise videos as much as I could such as Leslie Sansone’s walking videos or walking videos off of On Demand in addition to my walking outside. I would use my brother and the boys’ bedroom whenever they were gone or try to get up before dawn to get my videos in. This was especially hard in the winter when there was not much chance of getting outside to walk but I pushed on. I also have depression and anxiety issues which I deal with on a regular basis and only recently was able to get some help through therapy and medication. I’m not ashamed to admit that even working on these issues by myself was too much for me and asking for help was necessary. Spark People allows me to use the tools and support provided by the other members and also blog almost every day as therapy. Encouraging and supporting other people on the website is good for them as well as me, and I do as much as I can of that. All the support I receive through my friends on there, as well as my mom and other family members, keeps me going. Sometimes my family isn’t so supportive but most of the time they are. I still get the comments like “what would one [insert food item here], hurt?” I have to do what’s right for me and I take comfort in that because in the end, I am responsible and the only one in control of my own choices. I have to keep myself motivated and accountable. The way I do that is through self-talk and pep talks, repeating mantras such as “just do it” and “keep moving forward.” My personal favorite of mine is “just do your best” because that’s all we can expect of ourselves. I constantly remind myself WHY I’m losing this weight. In the past few months, I have been inspired to do a half marathon and have already registered for it for May 2016. I have had a foot issue setting me back lately but it seems to be clearing up FINALLY and I will be running again soon. I am so excited to do this half marathon, as well as other races I’ve also looked into. It will be a fun experience. Challenging, true, but fun and exciting. As of mid-October, I have lost 121 pounds. In August, I entered what we call “onederland,” which basically means getting into the ONE hundreds, and now weigh in at 198. It was SO exciting and I had dreamed of that moment from the time I started. It’s so weird because I haven’t weighed under 200 pounds since I was 13-14 years old, and am now 27. And through all of my challenges, both momentary and ongoing challenges, I have this DRIVE to keep moving forward. I am not stopping until I get to my goal of 140-155 pounds. And even when I hit that goal, I will start another journey: maintenance. Right now I am taking it one step at a time and just focusing on the here and now while looking to the future at the same time. It helps me to stay centered when I do that. I want to finish this story by saying that YOU all have it in you to start or continue your own weight loss or health journeys. Believe in yourselves and do your best. Start small and work your way up. What a great back story. You’ve come so far and I know you’ll hit all of your goals! !